Adil was very friendly and highly knowledgeable on Fez's history. He also drove us to some wonderfully panoramic viewing locations that made for a very enjoyable day. Tour was agreed with Mr Adil. The lunch was delightful, and the family charming. Although it could be better organised as we were there for over 2 hours. I agreed a cultural visit of the Fez Medina monuments, and places but we ended with another guide who was only interested in taking us into shops where we were hassled to buy expensive silver/leather/ and carpets. No history infos. Adil was only the driver. Very disappointing! TOURSBYLOCALS RESPONSE: It is ToursByLocals’ policy that the whole tour should always be delivered by the individual guide as arranged in the booking. On occasions, if our guide is unable to deliver part of the tour due to restrictions then we would always endeavour to keep our customers fully informed of the restriction. Please accept our sincere apologies that our process was not clear in this case. We spent four days with Adil and can't say enough about him. He made our vacation a perfect vacation - helping us avoid pitfalls and have the most perfect holiday. Great driver and great personality - we are very well traveled and the entire trip was perfect. 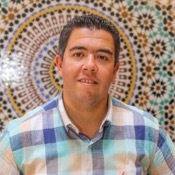 A+ guide - You won't find a more experienced or knowledgeable guide for the Sahara, Fez, and Atlas mountains. Thanks Adil!!! TOUR GUIDE RESPONSE: Thank you so much for your Review Me too I spend Unforgettable time with your during your Morocco vacation Hope to see you again for other adventure. Adil created a custom itinerary for us and our two young boys. We could not have asked for more - he showed us Moroccan hospitality, worked with very knowledgeable guides, and was very flexible, which was important traveling with young children. A wonderful experience from start to finish! TOUR GUIDE RESPONSE: Thank you so much For your Review ...It was my pleasure to share with you my knowledge & arrange your Morocco tours. Hope to see you again for another adventure. Amazing day here in Fes. Loved the insights, history and sense of humor along the way. We were well take care of, and saw places we would have easily passed by or been too lost to find. Adil was our driver/guide for the 3 day trip from Fes to Marrakesh. He was fantastic. He stopped at two of the souks that we saw on the way and accompanied us for the weekly market. He helped us with the vendors in tasting the fruits that were on display and cautioned us on not buying some of the goods, because they were not good enough. He also helped in working with the camel drivers to secure a 4X4 ride on the way back. Although he is not a licensed guide, he was all we needed. HIGHLY RECOMMEND him. We had a wonderful experience on our private walking tour of the Medina. Adil was friendly and accommodating. He is not a licensed guide in the medina, so Mohammed gave us the tour. He knows the streets and alleys well and we got to see not just the famous mosques and markets, but also some of the quieter areas off the beaten track. Mohammed did a great job, and explained the history well. He showed us the shops, but got us out of there when we made it clear we were not interested in buying something. TOUR GUIDE RESPONSE: Thank you so much for your Review Hope to see you again in Morocco for another adventure tour. Overall this was an informative tour for our short stay in Fes. Adil was the driver when we needed to go outside the walled old city. The van was very comfortable. Mohammed was our city guide and he knows the old medina very well and has good background and historical information. Of course some shops are included in your but Mohammed was very quick to get us out of the shop if we weren't interested and none of the shops we went to were pushy...and shops seemed high quality. Adil showed us all around Fez! We had a wonderful day with him and his driver. They took us to many trusted shops and taugh us so much about the culture. You will see the best side of Fez woth Adil! Adil was a true gentleman from start to finish. It was truly an amazing day and he is a delight. He was courteous, informative, ever so thoughtful and attentive the entire day. His car is roomy and luxurious, perfect for the long journey to Chefchaeoun from Fes. The local lunch was a feast and unforgettable with a variety of local Moroccan cuisine & Walking around The Blue Pearl with Adil was as magical as I had imagined it would be. This experience could not have gone better. Thank you Adil. TOUR GUIDE RESPONSE: Thank you so much for your Review. Hope to see you again for other Morocco adventure. 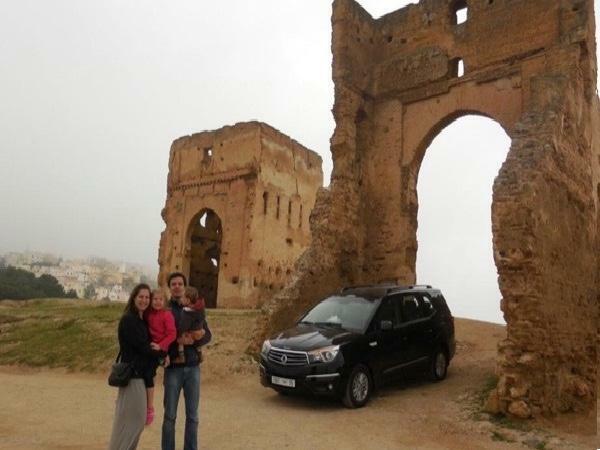 Adil was very knowledgeable, had great English, and made for a very enjoyable day around Fez. Would highly recommend. The trip was way beyond our expectations. I only wish we had more time to spend there, as the entire experience was wonderful. The tour was incredibly smooth right from the pick up at the airport all the way to the end. Adil set us up with an incredible and extremely knowledgeable driver named Zaki, who I would highly recommend. He made our trip extra special. He has friends all over the Morocco that provided a more unique experience. Zaki was not just our driver but a good friend! Great Memories!! TOUR GUIDE RESPONSE: Thank you so much your rate & review. Hope to see you again in Morocco for another adventure. TOUR GUIDE RESPONSE: Paul cities, Thanks for your rate . Hope to see you again in Morocco For another adventure in Morocco. This tour with Adil and his friend (and additional guide, Rachid) was outstanding. This was an all day tour of Fes for my husband and myself. Prior to the tour starting, we chatted to personalize the tour for what we wanted to do and how we wanted the day to unfold. It also gave us an opportunity to share additional requests for the day (I'm nursing my daughter and needed time to express milk during the tour and I'm a vegetarian). They were so great and made the day perfect. Phenomenal day! Thank you! TOUR GUIDE RESPONSE: Thanks for your Review Our joy is your satisfaction Hope to see you again in Morocco & Fez. Nobody could ask for a better guide than Adil: knowledgeable, accommodating, funny, kind. I felt safe and cared for-- he made my trip to the Middle Atlas and a Berber village perfect, complete with monkeys! Thank you, Adil! This tour was perfect, given that most of the things in the medina is closed on Fridays. The dinner with a local family was an excellent experience. Also this tour gives you more than enough attractions outside the old town. TOUR GUIDE RESPONSE: Thank you so much for your Review. We would be more than happier to see you again in Fez and discover another part of Morocco Together.